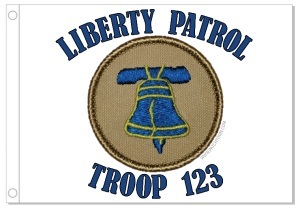 As its centerpiece, this flag uses an image of the official Boy Scouts of America Liberty Bell patrol patch. Please be advised that Patchtown.com is not a licensed manufacturer/distributor of official BSA items. 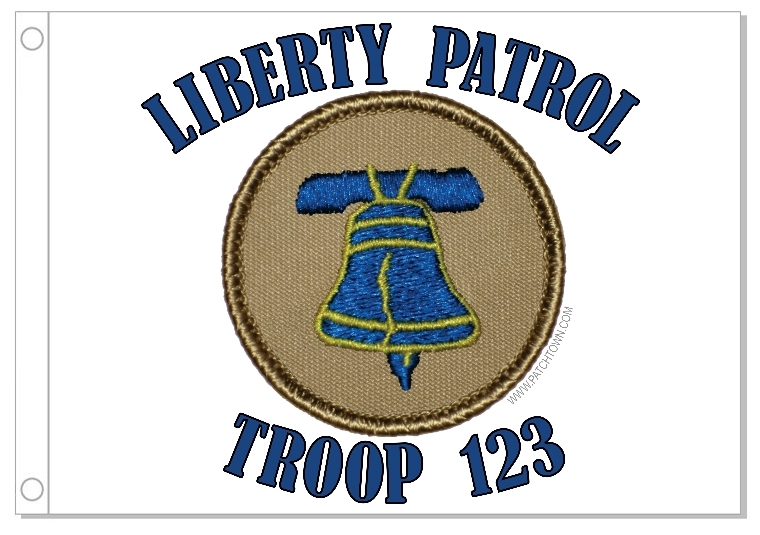 We offer this product as a service to patrols that use the official BSA patrol patches.